Welcome to the Ordre Souverain et Militaire du Temple de Jérusalem (OSMTJ). In English, that’s translated as The Sovereign Military Order of the Temple of Jerusalem. Grand Priories of the OSMTJ make up the Autonomous Magisterial Council. 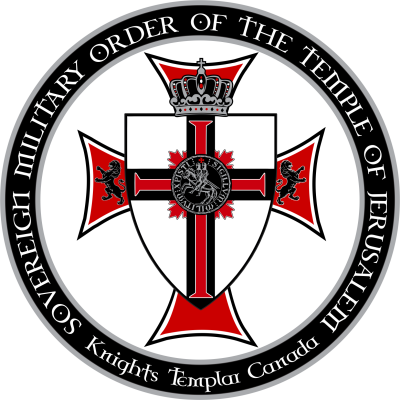 We are better known as the “Knights Templar.” Historically, the Knights Templar, or “Templars,” were a Christian order of Monks founded almost 895 years ago in 1118 A.D. Named for the Temple Mount in Jerusalem, the Templars initially protected pilgrims traveling through the Holy Lands, but eventually evolved into a powerful military force that waged war to protect the Holy Land during the Crusades (See “History”). Today’s Knights Templar take their inspiration from the highest ideals and values of the medieval Order of the Knights Templar. We are their spiritual heirs. We are a Christian (Catholic, Protestant, and Orthodox), fraternal, chivalric Order. We are not political and not affiliated with the Masons. The members of our Order commit to vows of Knighthood to live a life of honor by exhibiting certain virtues. We choose a life of purpose and meaning by taking a stand for what is right in our families, community, and nation. In 1973, Grand Master Zdrojewski approved the revised OSMTJ statutes recognizing each Grand Priory as Autonomous. Therefore, each of our Grand Priories are both autonomous in their nation and associated in fellowship with the each other. We only recognize one Grand Priory for each nation. – Promote, through the values ​​of friendship, loyalty and respect, feelings of universal brotherhood and ideals of solidarity between all people. Our Order traces its roots back to the ancient Knights Templar founded by Hugues de Payens in 1118. Our Grand Masters are elected and serve for life, just as it has been done since the beginning of the Order. The position of Grand Master can not be passed on through anyone’s will or by being the son of a Grand Master. Any, so called, “Templar” Order that uses those claims to support Grand Master succession is not legitimate. The Regent of our Order is, his S.E., Dr. Nicolas Haimovici Hastier. Our Order was restored by His Imperial Majesty, Napoleon Bonaparte, by imperial decree in 1807. In 1853, it was given recognition by Emperor Napoleon III. In 1918, the Order was re-registered in France in accordance with French law. On January 19th, 1932, it was registered in Brussels, Belgium: 1957 Namur / Belgium BE-410 20708. This recording was done by three Belgian Templars in Brussels, Joseph Cleeremans, Gustave Jonckbloedt and Théodore Covias. The record of the registration of the “Sovereign Military Order of the Temple of Jerusalem” appears in the Belgian Monitor on January 20, 1933. Lastly our Order was re-registered in Namur, Belgium on November 15th, 1975. These registrations can be viewed by clicking on our Documents Page.